We don’t have 4WD tracks, we have a whole 4WD island! 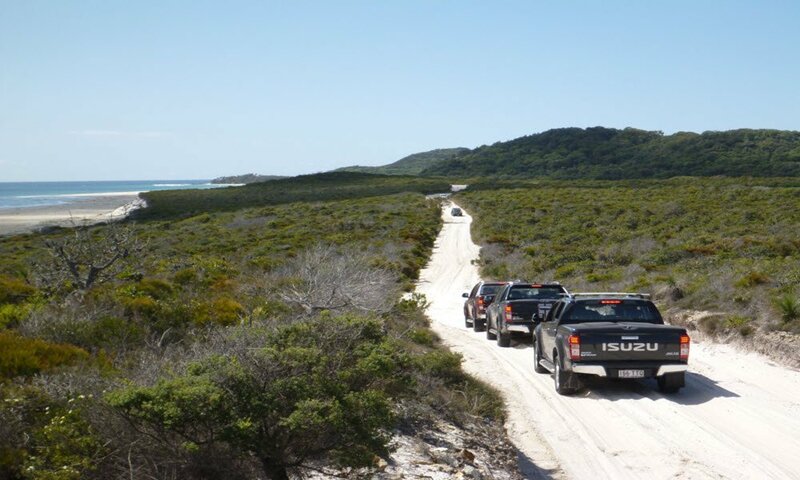 Yep, our entire island of over 420kms of unsealed bliss is only accessible by 4WD. 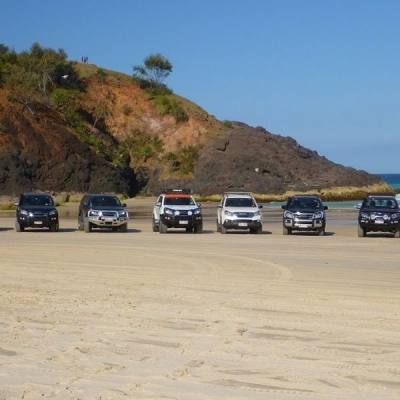 So forget the bitumen, forget the Sunday drivers and forget the queues, head to Moreton Island for one of the most rugged and beautiful sand-driving destinations on earth. 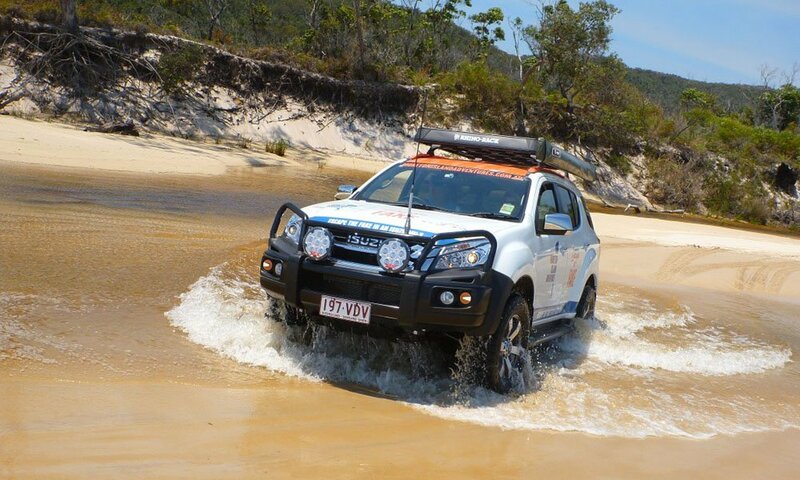 So whether you’re after the thrill of seemingly endless, smooth open beaches, or you prefer the challenge of tracking overland and inland, you can test your 4WD skills as little or as much as you like. Once onboard the Micat reduce your tyre pressure. 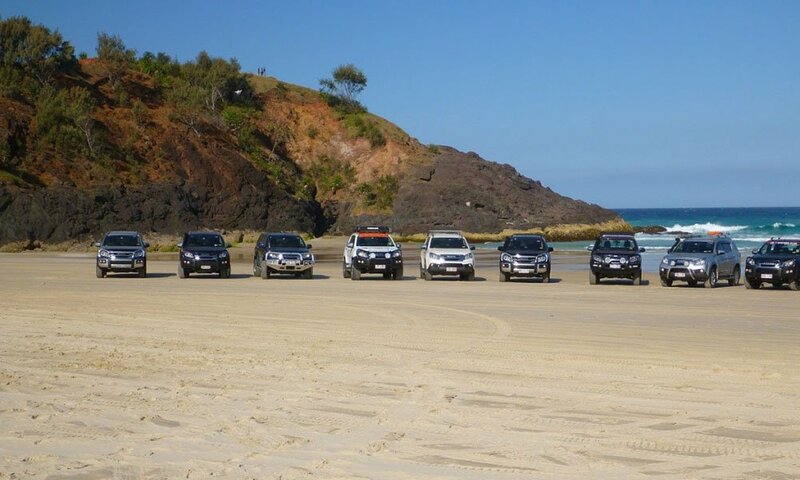 Many locals on Moreton Island lower their tyre pressure to around 18 psi, however all vehicles are different. There are air hoses on the Micat to re-inflate on the return to the concrete jungle and if all else fails, there are plenty of friendly faces to lend a hand! Watch the tides on Moreton Island! • You should not stop your vehicle in any creek-bed — use low speed and check depth and sand- softness before crossing. Tips for 4WDing on Moreton Island Sand! 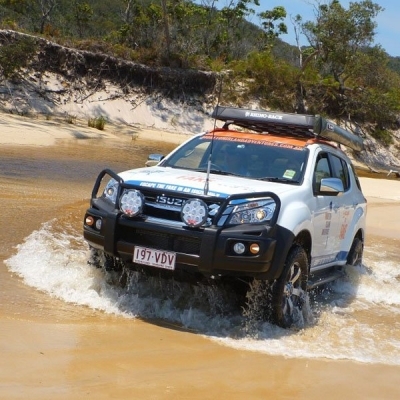 Grab a vehicle permit – permits are mandatory on Moreton Island 4WDing. 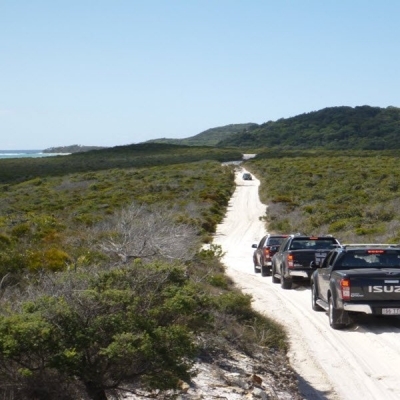 Normal road rules apply on all Moreton island tracks and beaches – max. 60 km/h. The speed limit is reduced to 30 km/h in front of the Micat, the Wrecks campground, Ben-Ewa campground and Bulwer. Most beaches have washouts caused by creeks cutting across the beach. Slow right down to cross them. All roads are unsealed, rough, rutted, sandy and narrow and not suitable for high speeds. Slow down and be prepared to give way to oncoming traffic. Pass on the left and indicate to let other drivers know your intentions, show etiquette and give a wave. Keep left of oncoming vehicles at all times. For safety, it is best to avoid driving at night. Please watch for children playing on the beach. They can’t hear your vehicle due to surf and wind.